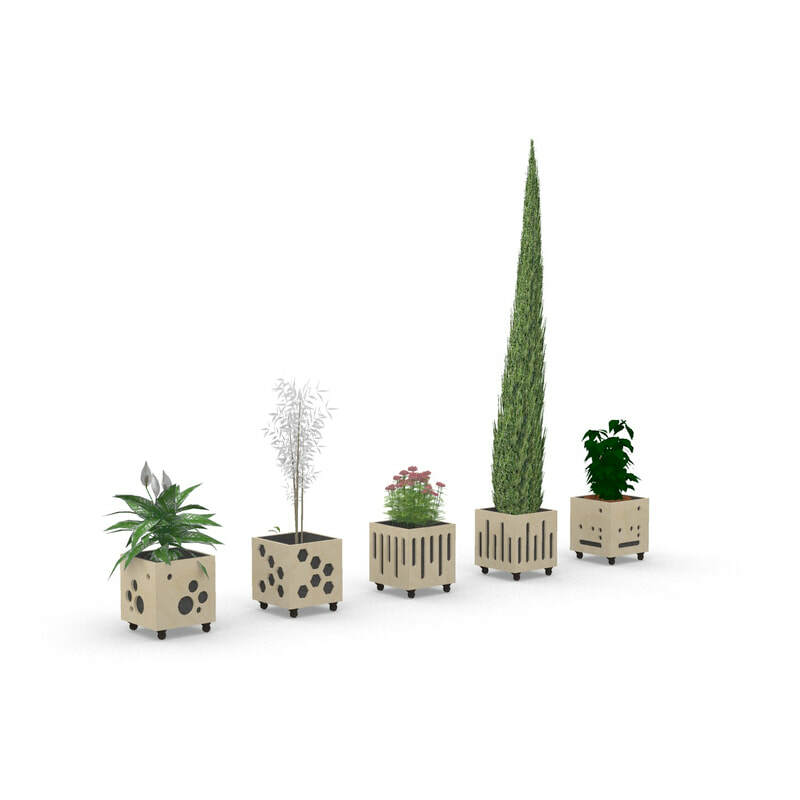 Commissioned to make 20 planters in birch ply, 10 hanging and 10 floor, for the New Covent Garden Market Authority Foood Exchange building in Nine Elmes, Battersea. Plants where wanted to soften the hard edges of the building. The patterns in the construction came about from details within the buildings architecture and construciton.